me down — by months. 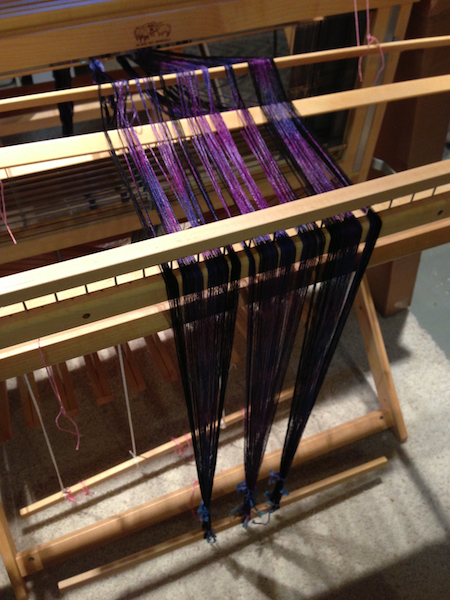 hand-painted warp kit at MDS&W 2012 — from Earth Guild. that: draped. 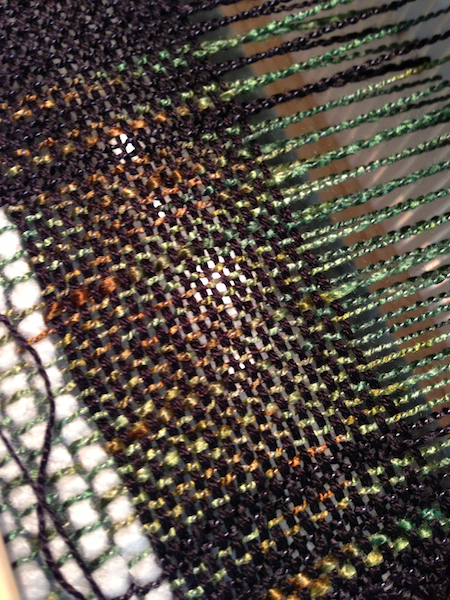 Not beamed on, threaded, or sleyed. with everything ELSE we need for a couple of months. 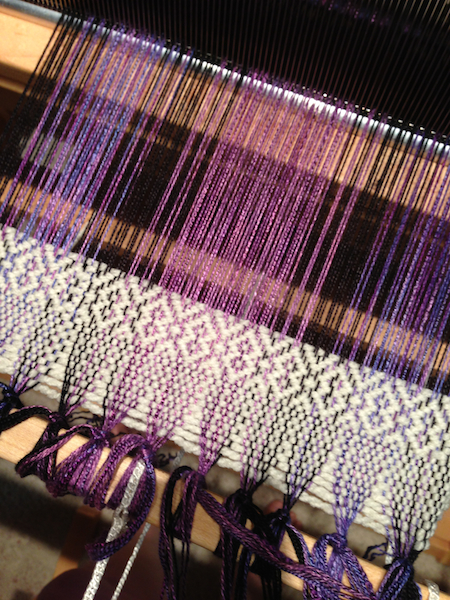 On the loom. Just like that. Wheee! though. I hope I’ll get better at them, with practice. 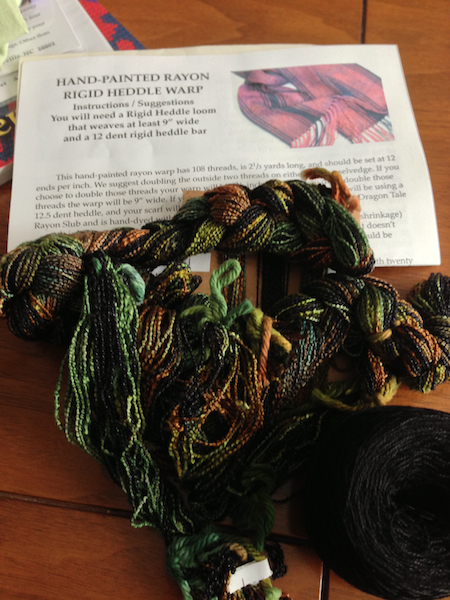 trepidation about warping it more regularly. 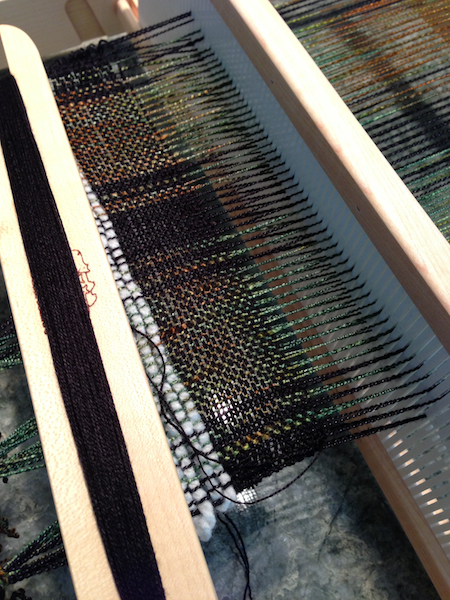 This entry was posted in All, Weaving by knitbot. Bookmark the permalink.